When you hear about a musical titled, “A Gentleman’s Guide to Love & Murder,” there is little worry about the show resembling the ordinary. Throw in a 2014 Tony Award for Best Musical, and there is no question that something really special is going on at the theatre. And if there are still any doubts, let me put an end to them right now by saying that this highly original and entertaining show is nothing less than extraordinary. Going into A Gentleman’s Guide, I tried to stay away from as many details as possible. Knowing the little that I did – that it was an award-winning musical staring actors playing multiple roles – I wanted to find myself surprised as the story unfolded. What ended up occurring may better be described as memorizing, becoming thoroughly captivated by the hilariously clever story and fantastic musical numbers. The hero (turned anti-hero) of the show is Monty Navarro (KEVIN MASSEY), a poor young man who has recently lost his mother. Not knowing how he is going to survive without her, he is soon visited by an old family friend – Miss Shingle (MARY VANARSDEL) who tells him that his mother was actually the daughter of the grandson of the nephew of the Second Early of Highhurst. Soon after discovering he is ninth in line for the throne, he hatches a plan to eliminate those who stand in line before him. He believes that once he is Earl, he will win over the love of his life – Sibella (KRISTEN BETH WILLIAMS). What makes the show so entertaining, aside from the beautifully orchestrated music and side-splitting lyrics, is that each of the eight D’Ysquith family members that Monty looks to succeed is played by one actor – the undeniably talented John Rapson. The energy that he puts into each of the roles is palpable, and consistently able to cause an eruption of laughter throughout the audience. Each of his characters, of which there are technically nine by the end of the show, have a different look; every D’Ysquith presents a discernible accent and demeanor. And yet Rapson transitions back and forth with ease, like some sort of musical chameleon that was born on Broadway. The chemistry between the entire cast is truly terrific. Watching Monty and Sibella’s relationship grow and change throughout the performance speaks volumes about the actors’ abilities to appear caring and genuine. Their interactions are also often the cause of much laughter as they want different things at different times. There are so many great numbers to choose from, so favorites are simply out of the question. However one of the most entertaining parts of the show is between the two of them and a new love interest of Monty “D’Ysquith” Navarro – his cousin Phoebe (DRIENNE ELLER). You can actually watch a live performance from the Tony Awards (during which the show celebrated its aforementioned victory) of “I’ve Decided to Marry You.” During the song, Monty literally bounces back and forth between his two lovers in rooms separated by only a hallway. If you want to get an idea of how much fun the show is, and not to mention how talented the actors are, watch the video below. 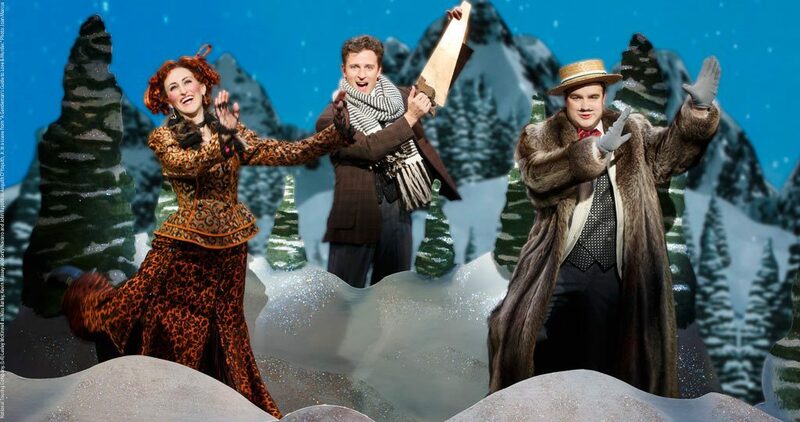 You would be hard-pressed to find a show playing right now that is more fun than “A Gentleman’s Guide to Love & Murder.” Full of fantastic performances, great songs and a clever “who dunnit” / “how did he do it” story, it is simply put – a hilarious show. Do yourself a favor and see it while you can, and try to catch yourself not smiling during most of the performance. 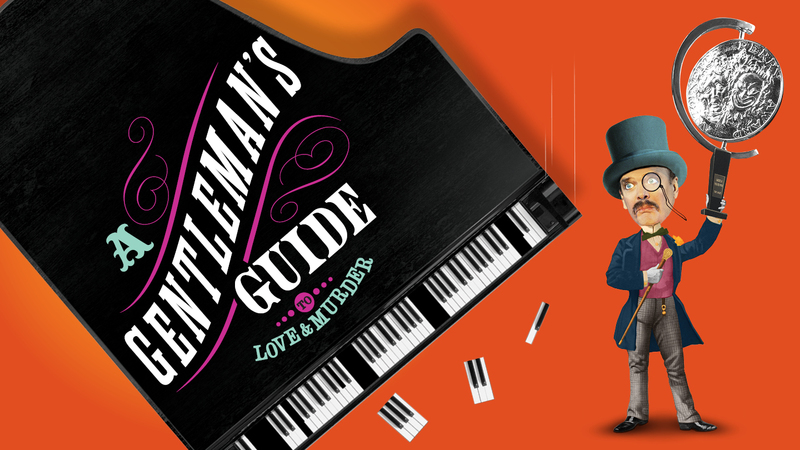 A Gentleman’s Guide to Love & Murder plays the Fabulous Fox Theatre in St. Louis September 13 – 25, 2016! Tickets are $20 – $80, and the running time is 2 hours and 25 minutes with 1 intermission. Purchase tickets at Metrotix, or visit the Fabulous Fox website for more details.